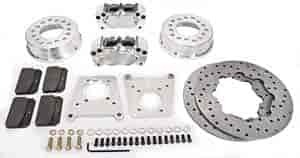 Aerospace Components Rear Brake Drag Kits are designed to provide you with exceptional stopping power for the race track. Top of the line billet aluminum components meet all NHRA/IHRA safety and rule requirements. Made in the U.S.A.